When you’re looking to move, you need to decide whether you’ll sell your current home or keep it as a rental property. 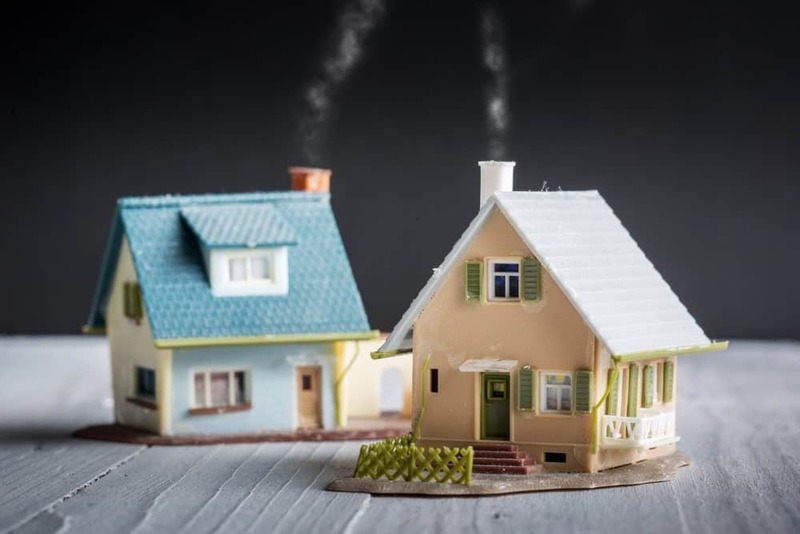 Owning two properties is becoming increasingly common, as homeowners may inherit property, rent out their old home or move in with a significant other. Selling your second property can be a good way to release equity quickly, which you can use to pay for your next home, reduce debt or stop repossession. However, before you make a decision it’s important to understand the tax implications of selling a second home. Capital gains tax is payable when you sell an asset that has increased in value since you bought it. The amount you’ll pay depends on how much income tax you pay annually and the amount of profit you make from the sale. To work out your gain, you need to minus the amount you bought the property for from the current sale price. Then, deduct any costs involved with the selling process, including estate agent fees and stamp duty. For example, if you bought your second property for £300,000 and sell it for £340,000, you’ve made £40,000 in profit. After you’ve deducted £7,000 seller fees, the taxable gain will be £33,000. In the UK, you’ll pay higher rates of capital gains tax on property than on any other asset, with basic-rate tax payers paying 18% on the profit they make from the sale of a second property. Higher and additional-rate taxpayers can expect to pay 28%. All taxpayers have an annual capital gains tax allowance, meaning they can make tax-free capital gains of up to £11,700 in 2018-19. Your main residence is exempt from capital gains tax, so most homeowners choose the property which is expected to rise most in value. You have two years after purchasing your second home to let the council know which of the two properties will be your main residence, or the ‘principal private residence’. If your second property is unfurnished for the first six months after purchase, you won’t have to pay council tax. However, once it’s furnished, you may be billed for council tax at 100% of the valuation tariff, so you should contact your local council as soon as you furnish your second home to let them know that it’s a second property. Most will offer a council tax discount of up to 50%. If the second home remains empty for more than six months, your council may charge more than the standard council tax rate. Councils can charge up to 50% extra if your property has been vacant for over two years. However, some homes don’t have to pay council tax for as long as they are empty. These include homes of people who have been moved into care, properties that have been repossessed or those that are scheduled for demolition. To find out what council tax band your second property is in, you should inspect a copy of the valuation list held by your local authority and check your council tax bill, as well as the council tax valuation lists published by the Valuation Office Agency. In England, you’re liable to pay stamp duty when you buy a residential property that costs more than £125,000, or £40,000 for a second home. This tax applies to both freehold and leasehold properties, and whether you’re buying outright or with a mortgage. Since April 2016, second homes are subject to stamp duty rates that are 3% higher than those for main residences. You won’t have to pay 3% on top of the normal stamp duty rates if the property you’re buying will replace your main residence that has already been sold. However, if there’s a delay selling your main home and it hasn’t been sold by the time you complete your new purchase, you’ll have to pay higher rates because you own two properties. If you manage to complete the sale of your second property within 36 months of buying your new home, you will be entitled to a discount. If the home you already own is abroad, you’ll still be liable to pay the 3% surcharge. If the second home you’re buying is abroad, the purchase and related costs will fall under the buying laws of that country. Selling your second property can be an overwhelming and costly process, particularly if you need to release equity quickly. If you’re relying on the funds to pay for your new home, pay off debts or stop repossession, it’s important to know how much profit you’ll make after tax. If you’re looking for a quick house sale, you may want to consider selling through a regulated property buying company like Good Move. We will buy your house for cash in as little as two weeks, regardless of its condition. If you’d like to sell your house fast, contact our experienced team of professionals today.